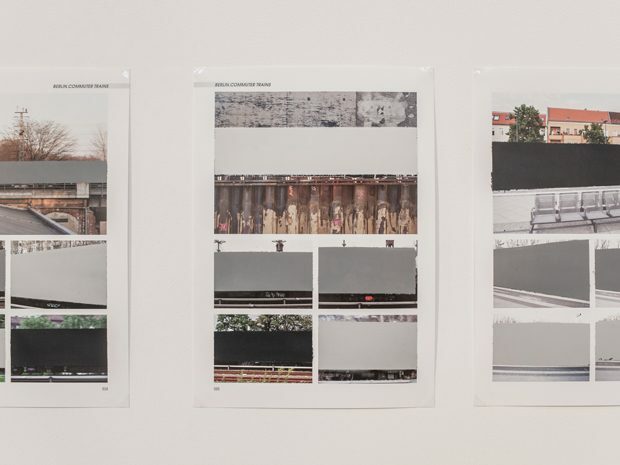 Spray paint on the 87 pages of a graffiti magazine, pedestal, archival sleeves, folder. 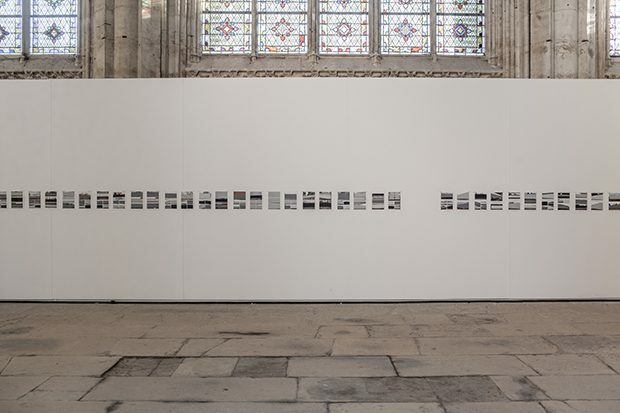 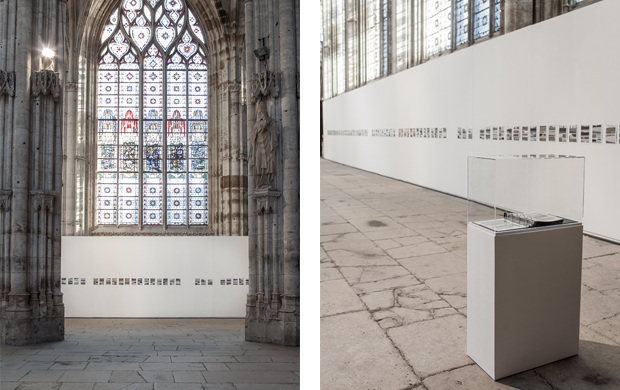 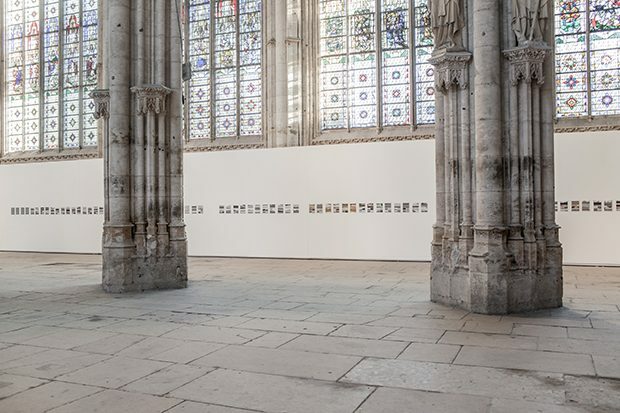 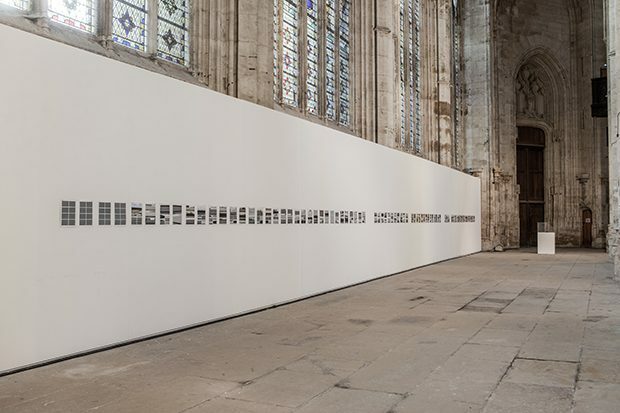 Exhibition view, La mort se nourrit de fleurs, Abbatiale Saint-Ouen, Rouen. 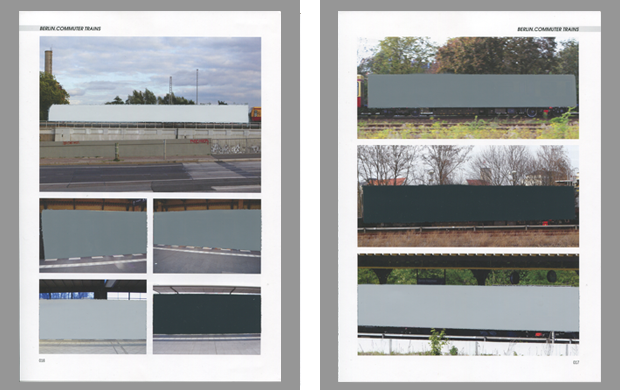 SPRAYED, Aurisacrafame, 2014 – Spray paint graffiti magazine, 87 sheets, 21×30 cm each.